With the Castrol Canadian Touring Car series, Ferrari Challenge and Firestone Indy Lights already having a crack at the temporary street course on the 2011 Honda Indy Friday, it was time for the headlining IZOD INDYCAR Series to blitz the Toronto track. Venturing through the team's paddock area ahead of the practice, I positioned myself on the road stretch between the paddock and pit lane called Gasoline Alley in preparations for seeing majority of the cars and drivers for the first time on the Friday. One of the first cars rolling down gasoline alley was the #9 Target/Chip Ganassi Racing car to be piloted by New Zealand's Scott Dixon. The #82 KV Racing Technology car of Tony Kanaan was wheeled out just behind the #9 car for the morning practice session. Coming off the 2nd place at Iowa Speedway two weeks before, Kanaan has come close to race victory many times in the 2011 IZOD INDYCAR season. As the open wheel racing vehicles began collecting in greater numbers on Gasoline Alley, it has drawn an increased number of race spectators. 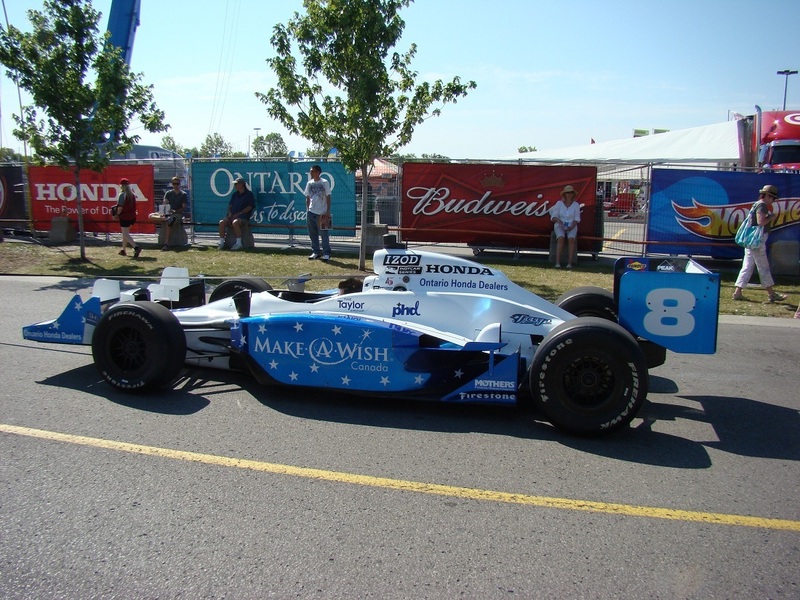 It was this time in my Friday visit, I realized two things about the 2011 Honda Indy of Toronto; firstly, there were definitely a greater number of race fans at the event and second some of them seem to get even ruder with each passing year. I admit I do not appreciate being in large crowds but there is something that needs to be said on people who crowd me within inches. 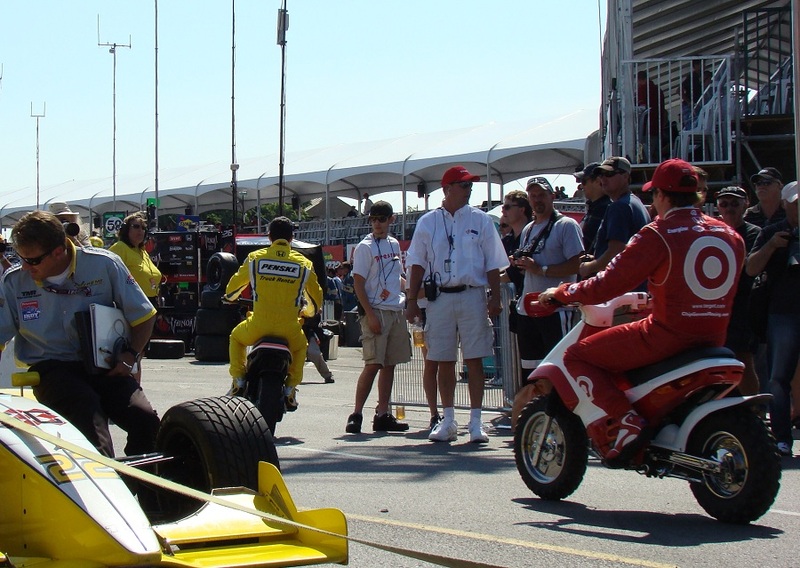 As the IZOD INDYCAR Series vehicles were preparing to enter pit road for first practice, some people insisted on being almost directly behind me. Finding it extremely uncomfortable, I lowered myself to keeling in order to get some space. As a person who does not like cramped crowds, I decided after many of the cars and drivers have flooded into the pit road stalls that I would regain my insanity by visiting the Firestone Indy Lights paddock. 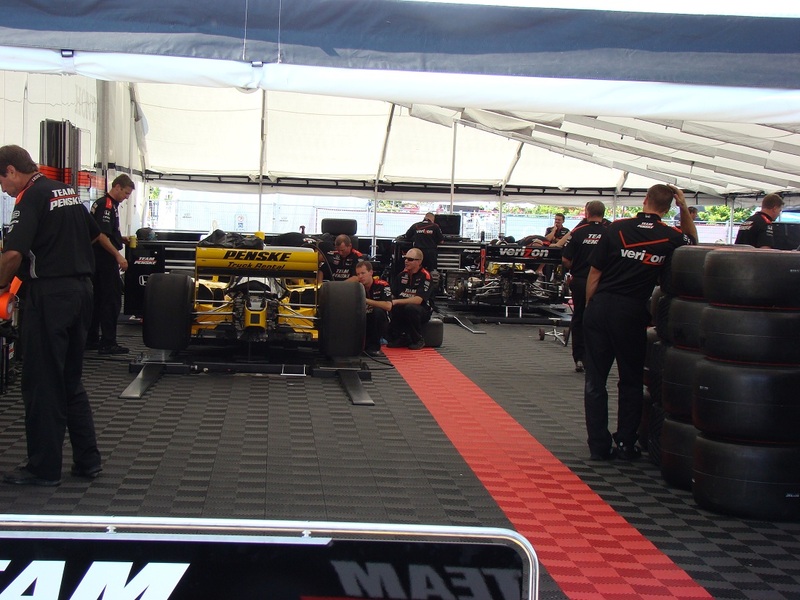 After quickly taking in the action on the support series paddock area, the Honda engines of the IZOD INDYCAR Series engines began to buzz around the 1.755-mile circuit. The headliner, the big show for the 2011 Honda Indy, the IZOD INDYCAR Series rolled into town for their first road course race since the Sao Paulo Indy 300 at the beginning of May. In risk of having some serious cobwebs for to shake off their left and right actions with the steering wheel, the drivers and teams performed near flawlessly on the first practice session. However, there was one incident where hometown rookie driver James Hinchcliffe stalled his #06 Newman/Haas Racing Dallara-Honda. Making his first laps around the street circuit as a driver in the IZOD INDYCAR Series, Hinchcliffe's history with the race dates back through childhood where he attended the event religiously. James Hinchcliffe has referred to the INDYCAR event in Toronto as “Christmas”. Believe me, I can certainly identify with that feeling. Sitting in the frontstretch grandstands, I overlooked the pit road work of the teams tending to their Dallara-Honda racing machines. Hearing the rush of IZOD INDYCAR vehicles alongside the start/finish stretch, most of the morning practice session time was spent overlooking the pits of the #06 Newman/Haas Racing team and #5 KV Racing Technology team serving Japanese driver Takuma Sato. As 24 degree Celsius temperatures in the air cook the track surface (said to be 38 degrees in surface temperature), the 1 hour, 15 minute time on track gave a true picture to the reason I love summer. Below is a video compilation I created on Canadian driver James Hinchcliffe and the #06 Newman/Haas Racing at the Honda Indy Friday.